On this here blog we are advocates of cooking with animal fats. We believe nature is better than science. And that humans are supposed to eat animal fats. This Fall I butchered my first hog. Lining the belly on the inside is a thick layer of fine fat called leaf lard. Leaf lard is claimed to be the highest quality and most neutral tasting of all lard on the hog. I got two nice sheets of leaf lard, one from each side of the hog. I pulled the leaf lard when I was splitting the halves into primals. It almost pulls out without the use of a knife. Once it’s out I cube it up and transfer it to the crock pot. I leave it to render until the fat is crispy and floating on top. I’m thinking it was about 8 hours or so. 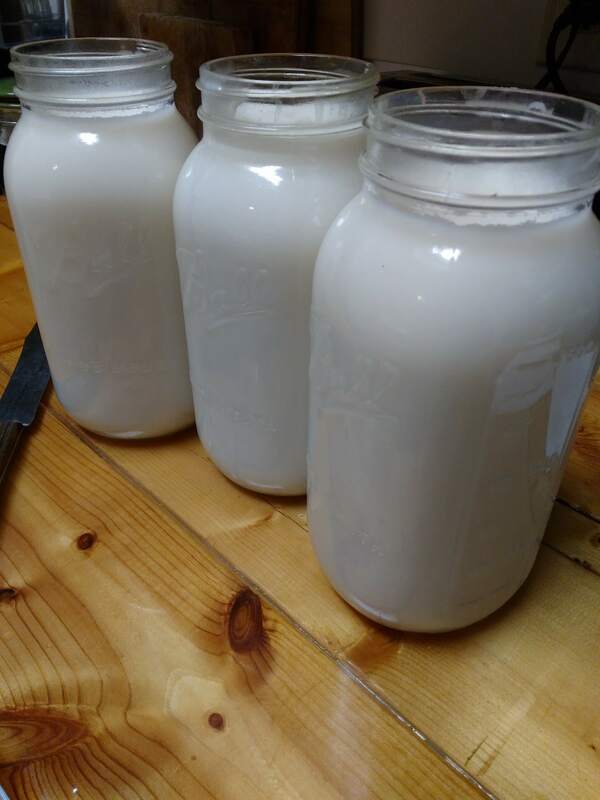 I let it cool somewhat and then ladled it into 1/2 gallon Mason jars. I got 1 1/2 gallons from a 350lb hog. In our house we use lard for pie crusts and biscuits. I will sometimes use it when I need a little grease in the pan. It makes very good home fries too. Lard gets points for natural, diy and self sufficient. Thinking about the alternatives; vegetable oil, Crisco or Margarine, I think the choice is clear. Some of those fats aren’t even edible until they go through an industrial, chemical stripping process. Nasty stuff, pass the lard please. I’ve got several pounds of leaf lard in the fridge right now. Used some of it to confit some chicken quarters a few weeks back. I also use it for seasoning cast iron.